The parish of Towyn was created on 22 September 1873. It comprises the whole of the township of Towyn, part of the township of Cegidog Isaf, which until then had been in the parish of St. George, and parts of the townships of Bodoryn and Bodtegwal, which had until then been in the parish of Abergele. 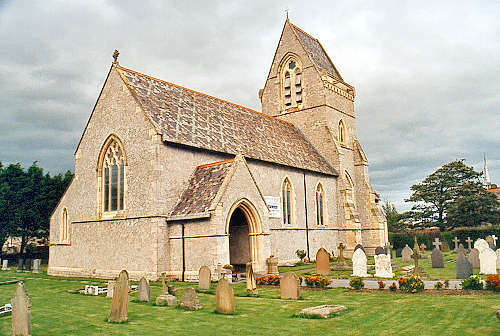 St. Mary's church was consecrated on 17 June 1873. For family history information about the church and parish, visit the GENUKI Towyn page.